2Technische Hochschule Darmstadt, Institut fur Angewandte Physik, Licht- und Teilchenoptik, D-6100 Darmstadt, Federal Republic of Germany. Ion beam sputter deposition (IBSD) is a useful technique for producing high performance optical coatings. It is possible with relatively simple methods to get a reasonable deposition rate over a sufficiently large area. However, thin films produced with this coating method had a relatively high amount of contaminants. The contaminants were analyzed by various techniques mainly by total reflection x-ray fluorescence. 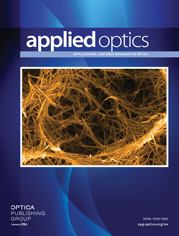 The influence of the contaminants on the performance of the optical coatings proved to be surprisingly low. Optical properties were investigated, mainly the refractive index, the absorption coefficient at 0.514 μm, the scattering behavior, and the damage threshold against high-power laser pulses at 1.06 μm. a Concentration values are mass ratios with respect to the mass of titanium; the detection limits are given in parentheses. b The l means of the order of the detection limit.